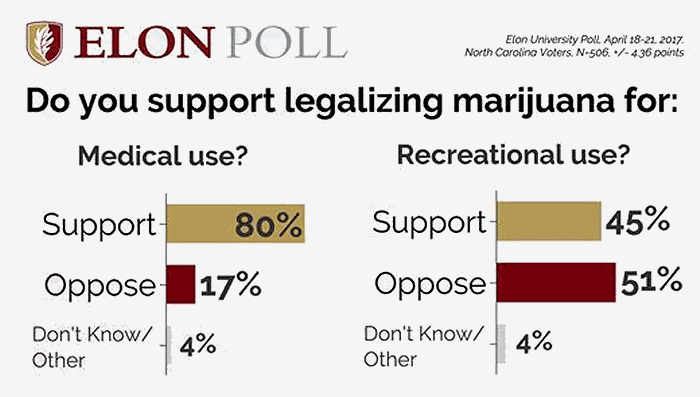 An Elon University poll indicates a vast majority of North Carolina voters support the legalising of medicinal cannabis. 80 percent of the more than 500 people surveyed said they approve of legalisation, with just 17 percent opposed to it. Recent Elon Poll results show Democrats and Independent voters are the most likely to support medical marijuana legalization, with 83 percent of each group on board. Even among Republicans support is very strong, with 73 percent approving of such a move. When it comes to legalising recreational use of marijuana, it becomes a different story; with a majority opposing it. Patients in North Carolina hopefully may not have to wait too much longer for medical cannabis to become legal – but it seems the wheels turn particularly slowly in the state on this issue. Two related bills have been recently filed in the North Carolina General Assembly; HB 185 and more recently SB 648. 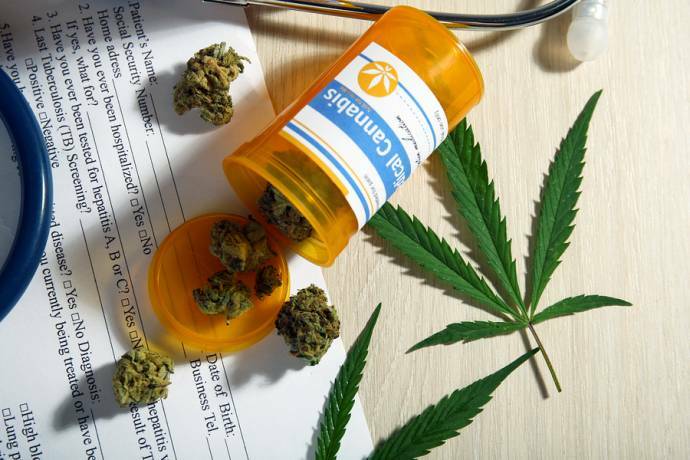 Both would see a wide range of conditions qualifying patients for medicinal marijuana access, including AIDS, hepatitis C, Crohn’s disease, diabetes and sleep apnea. However, opposition to such legislation may still be tough. A previous medical marijuana bill was introduced in May of 2014, but was killed off by the House Committee in March 2015. At that time, the House Committee also blocked the House from considering any further legislation related to medicinal cannabis for the next 2 years. With regard to industrial hemp, North Carolina became the fourteenth state to permit cultivation late in 2015; but only as part of the state’s pilot program as allowed under federal law. Crops are still yet to be planted and temporary rules for the program were only approved in February this year. Cannabidiol (CBD) is permitted for use in North Carolina, but only in a very narrow set of circumstances. According to the Marijuana Policy Project, The North Carolina Epilepsy Alternative Treatment Act protects patients with intractable epilepsy from criminal penalties for using and possessing hemp extracts containing a least 5% cannabidiol (CBD) and less than 0.9% THC; however these individuals require approval of a neurologist who is affiliated with one or more hospitals in the state.